Skyline Mediacast Productions focuses on bringing your ideas and visions to life. We are happy to help you inform, share and promote, whether locally, nationally or world wide. With our combined production experience and the latest in video and audio equipment, we provide a product that not only reflects your company but is also up-to-date with today's technology. Let us bring your vision to Broadcast TV, Cable, your Website, and/or DVD for distribution. 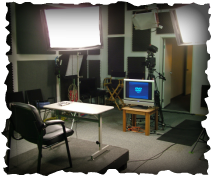 From conception to writing and shooting, voiceover to video editing, Skyline Mediacast Productions is your choice for all your video and television needs. Give us a call or e-mail us. For our contact information . . . click here.